We often hear Government complaining about the rise of crypto. Some even placed restrictions on the use of it. However, no government can deny that the blockchain that came with it, can be of great importance. The use of the blockchain technology can help voting get more transparent and save which creates trust. Because with this technology everyone would be able to count the votes themselves so no one can doubt the final results. They can also check if there were any illegal votes or if some votes were removed. Countries like Dubai and Estonia have already adopted blockchain technology. It is a great way to protect data and reduce costs and improve efficiency. Estonia already even used the blockchain to store data of sectors such as Health and security and Dubai is planning to become the world's first blockchain powered government. Here are a few ICO’s who thought of a way to implement the blockchain in the voting system. Votem is an ICO which wants to enable citizens to vote with their mobile phone. The votes will be blockchain based. This enables the voting to be save, transparent, and accessible. Votum has already run multiple primary, general, and special elections. Votum is already being leveraged in Washington DC and Montana. Votes uses smart contracts and blockchain technology for voting. This includes public opinion polls, votings of companies, elections, exams, surveys. More than 10 million people have already become a user of votus. Clearpoll is an app which lets you vote in global, national or local issues. It lets you choose categories you want to vote on. For example, are you more into politics or sports. It uses the blockchain technology to record your votes. This will give a more accurate view of the public opinion. 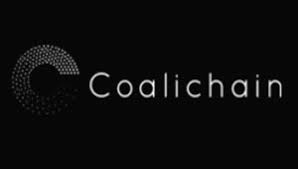 Coalichain wants to connect the governments with their people. They want to make it easier to get your problems heart. Politicians can also easily show and promote their agenda. Voters can remind their politicians to keep their promises and politicians can more easily communicate with their voters.